Taste and presentation of food was very nice. 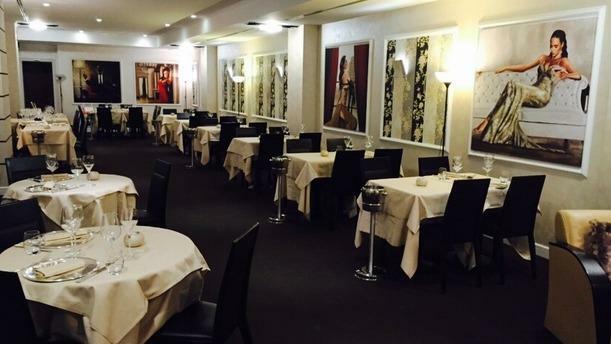 It’s great for a business lunch, very close to Duomo and the prices are those you commonly find in the city center. Excellent food and a great spot at the center of city...Will visit it again! Food not that good. Waiters not focused. Fish smell all over the restaurant. Not really really bad overall but we wouldn’t come back. It’s a pity they asked us to leave little more than 20 minutes before closing. Moreover, waiters react when you calling them not fast enough and sometimes they do not at all. But the staff was friendly enough when choosing wine or ordering. Rerfect place! Good cuisine, high class service, big portions, nice atmosphere ???? Excellent ossobuco & risotto, attentive (English-fluent) service, prices as listed and discount applied. Food and service both very good, large picture of scantily clad woman reclining on sofa made me feel uncomfortable and should probably be reconsidered in this day and age. The taste was also very delicious to Japanese people. Raw artichokes were my first time and the texture was a bit weak.